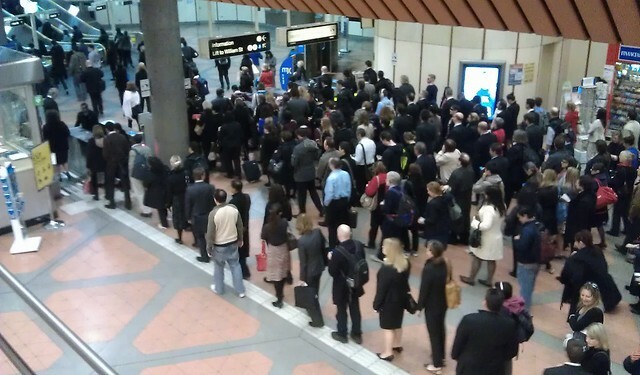 Long queues to exit city stations are becoming more common in peak hours. This picture was taken at Flagstaff, and is a little more orderly than South Yarra. At both these locations and others, fare gates present a bottleneck, and it’s obvious more needs to be done to help passengers exit the stations quickly. Help our campaign for better public transport. Join the PTUA now. We rely entirely on member funding and enthusiastic volunteers to operate.